David Michalski formed The Michalski Law Firm to provide his clients with the same level of sophisticated counsel and representation found at larger firms in a manner that controls their costs. The Firm is based in Westlake, Ohio to conveniently serve clients in the western suburbs of Cleveland and throughout Lorain County, but the Firm represents clients from all over Ohio. The Firm works with clients to determine and achieve their goals in the most efficient and cost-effective manner possible. This process starts with a free 30-minute initial consultation regarding each new matter. The Firm has the flexibility to accept engagements that depart from the traditional hourly rate structure where the client so desires, including fixed fees, capped (“not-to-exceed”) fees and partially contingent fees. For cases handled on an hourly rate basis, the Firm provides its clients with a litigation budget, including the estimated fees and costs associated with each milestone in the case from initial filings through trial. The Firm recognizes that no client wants to be involved in a lawsuit, but the Firm’s goal is to make the entire process as painless as possible while obtaining the best possible outcome. Schedule a private, free, 30-minute phone consultation. For more than two decades, David has represented clients in business, employment and investment-related disputes in Ohio courts, the federal courts and in alternative dispute resolution proceedings. At Michalski Law Office, your work will not be handed off to an inexperienced associate attorney. You will work directly with David Michalski, a lawyer with extensive experience in business law and related areas. Most legal problems have many different solutions that are all technically correct. We work to find a solution to your problem that is not only correct but also practical. Before forming the Michalski Law Firm, David spent nearly twenty years as a litigation attorney at one of downtown Cleveland’s largest and most-respected law firms, including almost ten years as a partner. 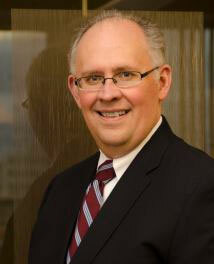 He has handled cases ranging from small municipal court actions to sophisticated business cases. David has experience in almost every type of civil litigation. The scope of the Firm’s practice includes all manner of business, employment and investment disputes. Contract disputes, insurance claims and coverage disputes, premises liability, foreclosures, commercial collections and evictions, business torts, real estate and zoning disputes, probate litigation are just a few of the areas of pracitice we cover. Proudly serving the western suburbs of Cleveland, Lorain County and all of Ohio, including, Amherst, Avon, Avon Lake, Bay Village, Elyria, Fairview Park, Lakewood, Lorain, Rocky River and Westlake. © 2016 The Michalski Law Firm, LLC | Cleveland, Ohio. All Rights Reserved.